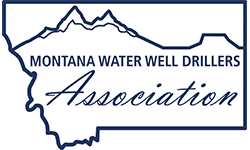 On September 13, 2016, the Montana Supreme Court ruled against the Montana Water WellDrillers appeal of Sherlock’s decision in the Clark Fork Coalition lawsuit. Many newspaper articles announced the decision by declaring there was now a ban on exempt wells. Some drillers questioned if it applied to everyone or just sub-divisions. I want to take this opportunity to answer some questions about the recent Supreme Court ruling. NO, you may still drill wells that are exempt from the permitting process. However, if the well is on a parcel of land that was sub-divided in any manner AFTER October 17, 2014 OR if there is already an existing well located on the property, you should have the property owner get prior approval from the local DNRC office. Did the Supreme Court prohibit exempt wells? NO, the Supreme Court said that the rule that has been in place since 1993 is not consistent with the state law. This means that either the legislature needs to change the law or the DNRC needs to change the rule to be consistent with the law. So why are we now following the 1987 rule? Because the 1993 rule has been thrown out, the DNRC now reverts back to the 1987 rule until a new rule is created. The DNRC has indicated that they will leave this rule in place until after the legislature has an opportunity to act. What is the difference between the two rules? The 1993 rule stated that to be considered a “combined appropriation” – which would need a water right and to go thru the permit process – the wells needed to be physically manifolded to one another. The 1987 rule says that an appropriation of water from the same source aquifer by means of two or more wells, the purpose of which the DNRC determines could be accomplished with a single well, is considered a “combined appropriation” and thus would need a permitted water right. Are all subdivisions stopped unless they get a water right and provide a community water system? First, if the subdivision was already begun prior to the District Court ruling on October 17, 2014, they are grandfathered in and can follow the 1993 rule. Second, if a developer is creating a new subdivision, they must now work with DNRC to determine the number of wells allowed in the subdivision to fall within the total consumptive use of 10 acre feet per year. This is being done in a number of ways. Some are simply limiting the number of homes; some are limiting the size of lawns; some are obtaining surface water rights for irrigation. The DNRC is currently using .28 AF/household for domestic, indoor consumption calculations. This number does not include lawn and garden water. The developer will know what wells are allowed in his agreements with the DEQ, DNRC and the County. What about wells on large parcels of land? On lots larger than 20 acres, the DNRC has indicated that they will consider any wells within 1,320 feet of one another, on the same lot, to be a combined appropriation. In order to remain within the law, the total consumptive use of all the wells cannot exceed the 10 AF limit. What if the customer has an existing well that is filed for more water than they are truly using and they want a second well? The DNRC has created a Request to Reduce a Groundwater Certificate to deal with this situation. If you have a customer that filed their original certificate with the total 35 GPM/10AF allowed and now wants a second well within the quarter mile limit, consider this option. If they are not using the full 10 AF – and most are not – they can file this document to reduce their claim and then use the difference to allow for the second well.